Philip is the Co-Founder and Co-Director of TreeKIT, an small non-profit organization that helps city dwellers measure, map, and collaborative manage urban forests. TreeKIT technology and training products are at the heart of TreesCount! 2015, the decennial census of street trees in New York City engaging more than 7,500 volunteers in mapping more than 600,000 trees. 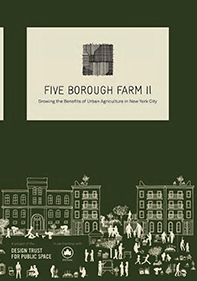 Philip works with Farming Concrete on implementing the Five Borough Farm initiative incubated by the Design Trust for Public Space. Farming Concrete helps community gardens and urban farms develop, test, and refine simple tools for measuring and monitoring the positive impacts of their work. An easy-to-use web platform allows gardeners and farmers to collect and analyze data on their impacts over time. Philip is a regular contributor and book review editor at The Nature of Cities, a website for a wide range of issues related to urban ecology, design, and landscape. UrbanJam invites young people to explore the ecology, history, and design of New York City. 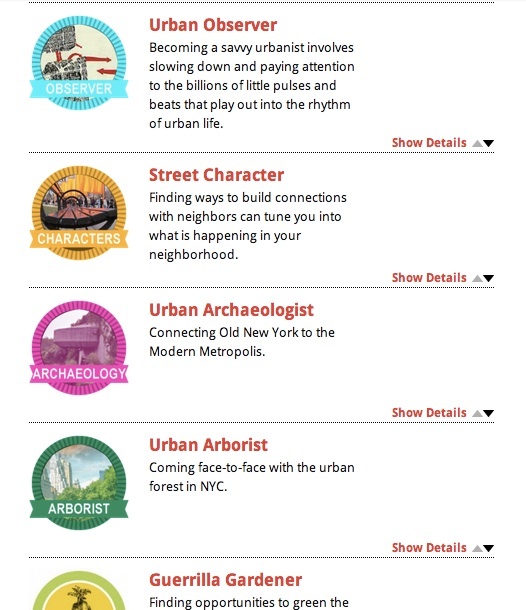 Participants earn badges for completing a series of quests out in the field—tasks like drawing neighborhood maps, inventorying street trees, discovering artifacts in local museums, and much more. Philip drew on the principles and practices of Dialogue Education to design this interactive, web-based curriculum, which is now available for free download here: UrbanJam. UrbanJam is a project of Parsons The New School for Design Geospatial Design Lab. Brooklyn Urban Gardener is a ten-week training program for city dwellers eager to use their green thumbs to improve their communities. The program, which is run by Brooklyn Botanic Garden, introduces participants to the basics of community organizing, composting, pest management, ornamental and edible gardening, street tree care, and much more. Philip co-wrote and co-taught the “BUG” curriculum in its pilot year, drawing on his training in Dialogue Education.